Get - Idaho Potatoes, Yellow Onions, Whole Carrots, Iced Fudge Brownie and Potato Rolls FREE! $0.55/1 in 9/12 RP - EXPIRES 10/31! 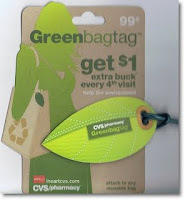 $1.00/1 in 8/29 RP - EXPIRES 10/31! Purchase $15 in Participating Heinz Products, get a $5.00 OYNO Catalina! $1.00/4 in 9/26 P&G -EXPIRES 10/31! FREE VeggieTales Christmas Album Download! Love the Veggie Tales? Then go download the Veggie Tales The Incredible Singing Christmas Tree for FREE on Amazon.com ! This includes 16 Christmas songs! This Hershey's Nested Silver Fondue pot is styled like a classic foil-wrapped Hershey's Kiss. It's perfect for creating delicious fondue dishes for family get-togethers and celebrations. 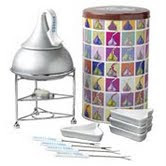 The fondue set is stackable for easy storage in a colorful "Pop-Art" tin and makes an ideal gift! Includes a ceramic pot and lid, 4 fondue plates, 4 fondue forks, a tea light candle and holder. Dishwasher safe. Today's price has been reduced down to $11.00! Final Price, $1.00 for both items!!! Special Halloween Offer from Biggby! For those of you who are heading out this weekend to trick-or-treat with your favorite goblin, ghost, princess, firefighter or super Mario brother, make sure you print off this coupon. Go into your favorite BIGGBY COFFEE on Sunday and celebrate Halloween because for any grande/super specialty drink you purchase, your little trick or treater will get their kid's drink for free!